Are you going camping soon? 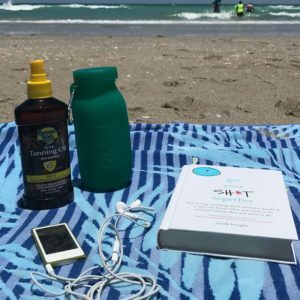 In addition to having your silicone water bottle- Bubi Bottle, here are five other things you should bring with you. We’ve pulled together a list of “Bubi Approved” items that are perfect for different hike lengths and that will significantly improve your adventures in nature. When you go hiking it’s crucial to bring water with you and to drink it liberally. Experts suggest that you drink a quart of water before go hiking and then drink 1 quart every two hours. You’ll feel better if you stay hydrated, mainly if it’s hot or cold outside, the water will help you digest snacks or meals, and reduce waste. For long hikes, we suggest the 35oz Bubi collapsible silicone water bottle.The Bubi roll-up water bottle is eco-friendly and easy to clean at the end of your adventure. Add a flip cap for ease of drinking and snap on pet water bowl for your four-legged . fold up Bubi bottle is perfect to store your food and or snacks securely. You should always carry a lamp or a flashlight and extra batteries when hiking, just in case. You want enough light that you can navigate after dark. Should you get delayed or lost, it is best to wait till morning. Having a map of the location is necessary. It’s essential to be knowledgeable about this, even if hiking in an urban or familiar area. Education on how-how to use a compass at a basic level soon follows. Our larger foldable water bottles are perfect for keeping essential documents like maps safe and dry. We tend to think a ziploc bag will protect items. A hat, lip balm, and some sunscreen are crucial to prevent sunburn while you are hiking. If possible, try and buy items with lanyards, that way you can connect them to your Bubi bottles clip for safe keeping. These five items will make sure that you are well prepared. Whether it is for a hike in your backyard or some back-country backpacking, wherever you end up going, keep your Eco-Friendly Bubi Water Bottle with you, and you’ll be ready for anything.